i've had some good teachers in life, often people who weren't teachers per se but dropped key bits of knowledge on me, almost in passing. one guy set me free by instructing me to make mistakes. another more recently inspired me with his confident assertion, "i can do anything." if he didn't already know how, he could always learn. i've tried to live by that credo ever since, and i gotta say the internet makes it easier than ever to wade into unfamiliar waters. 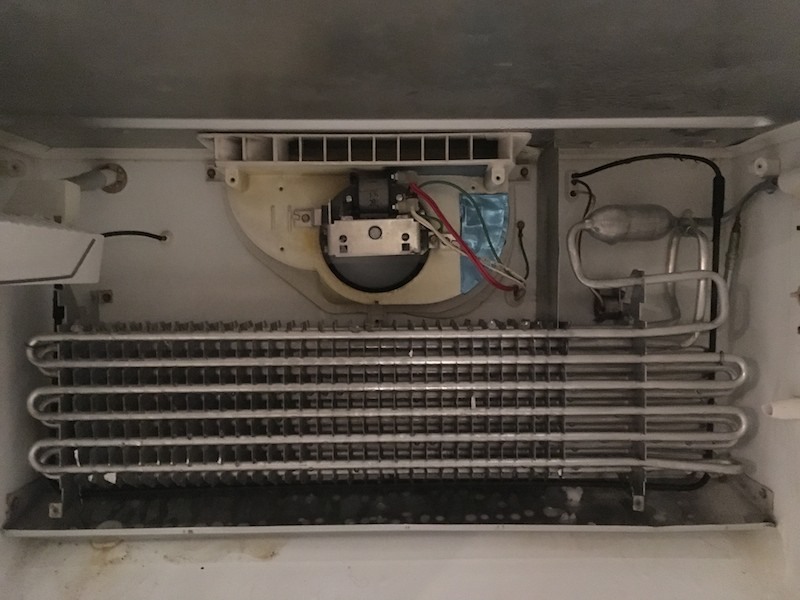 today i saved $150 by replacing our fridge evaporator fan motor. the cooling tubes of the inner workings reminded me of Plutopia, somehow, that casual combination of mid-century consumer convenience and willfully unwitting environmental apocalypse.